On Sunday, I drove to Altadena to visit Bill and Kathy Korn. 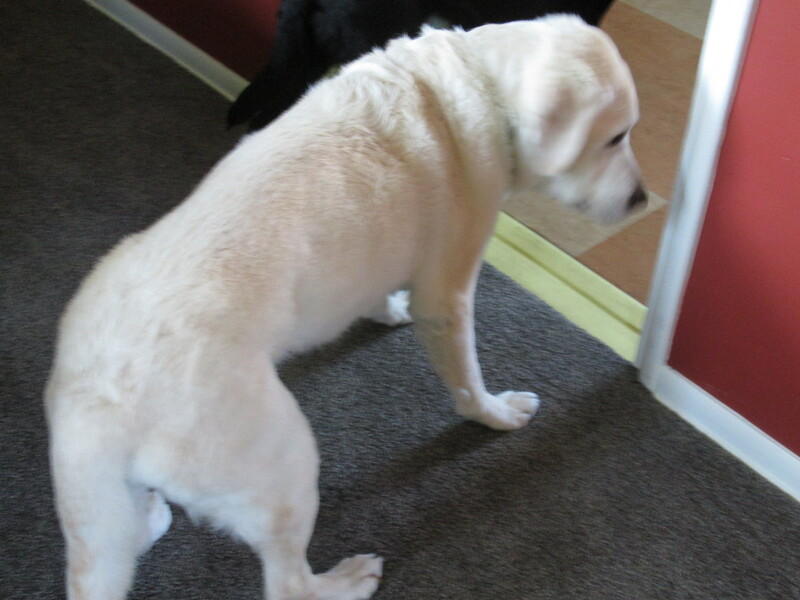 Also to see Icon on his last full day in this life. 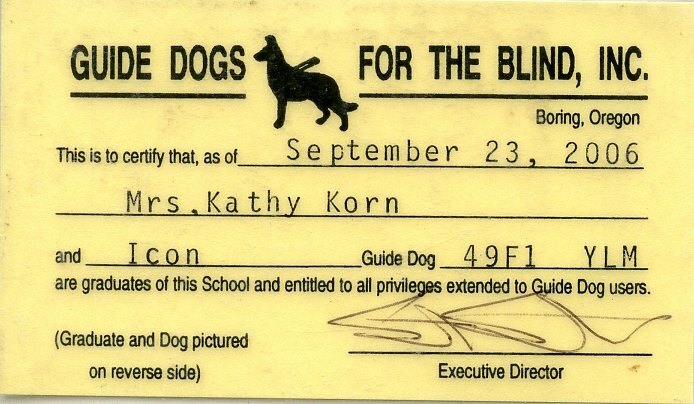 Icon was Kathy Korn’s seeing-eye dog, who, in his thirteenth year,had developed a serious shortage of red-blood cells. He had trouble digesting food, and his breathing was alarmingly shallow. Although I have had no pets since my elementary school days in Cleveland in the 1950s, I have always developed friendly relationships with my friends’ pets. I can have no animals in my apartment because (1) it would be a violation of my lease and (2) I am allergic—sometimes more, sometimes less. I got a little teary-eyed as I petted Icon for the last time on Sunday evening. I mentioned that we would see each other again in the next life. Who knows?